Rajkumar Praja was wanted to serve a 15-year sentence for rhino poaching and trading internationally in rhino horns. Nepali authorities requested that Interpol issue an international wanted persons alert, known as a Red Notice, for the 31-year-old after he fled Nepal to avoid punishment. In 2013, Nepal Police, with the support of the Nepalese Army and the Department of National Parks and Wildlife Conservation, arrested a network of more than a dozen poachers suspected of killing 19 rhinos in Chitwan National Park. 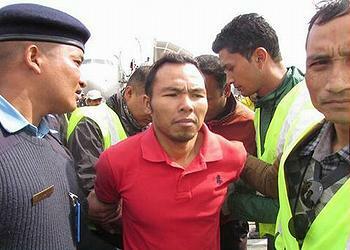 Praja was arrested in that group of suspects, but he managed to escape. Interpol National Central Bureaus in Nepal and Malaysia exchanged information that eventually resulted in Praja’s arrest by the Royal Malaysian Police in January. Praja was found to be in possession of a fraudulent passport issued under a false name. He has since been returned to Nepal to serve his sentence. “What we have achieved with the arrest of Rajkumar Praja is a testament to how law enforcement agencies can utilize Interpol resources to share information and coordinate beyond national boundaries to combat transnational organized crime,” said DIGP Hemant Malla Thakuri, director of the Nepal Police Central Investigation Bureau. 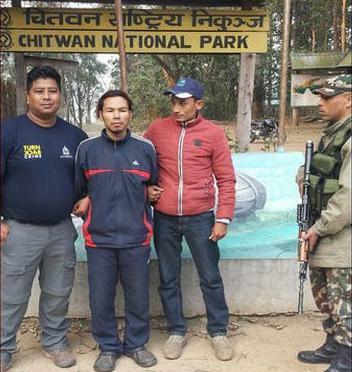 “This arrest sends a strong message to criminals hiding in a foreign country that no matter where they are, they are not safe and will be caught one day,” said Thakuri. Praja’s name was known to police around the world, and he was a target of Interpol’s 2014 Operation Infra Terra. The international police agency’s first global fugitive operation, it focused on suspects wanted for environmental crimes. Interpol had a list of 139 fugitives wanted by 36 member countries for illegal fishing, wildlife trafficking, illegal trade and disposal of waste, illegal logging and trading in illicit ivory and more. Praja was not the only high-profile target caught in the Operation Infra Terra net and arrested. Also nabbed were Feisal Mohamed Ali, the alleged leader of an ivory smuggling ring, and Ben Simasiku suspected of illegal ivory trading. Interpol’s activities to investigate and disrupt wildlife crime networks operating in Asia come under its Project Predator, which aims to support and enhance the governance and law enforcement capacity for the conservation of Asian big cats. It is primarily funded by the U.S. Agency for International Development.